Look for bright yellow and white daffodils blooming throughout the park. 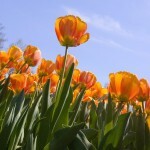 Many varieties of red and yellow tulips are the first to bloom followed by the main bloom. More than 100,000 tulips provide every color you can imagine. Complementing the blooming bulbs are thousands of blooming trees and shrubs. This is just a sampling of the variety and beauty that can be found at the Zoo! Plan a visit and enjoy the abundant beauty in our Garden! Don’t miss Tunes & Blooms, FREE concerts in the garden, from 6-8:30 p.m every Thursday in April. 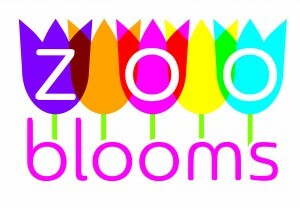 Zoo admission after 5pm for these events is FREE. Parking is $10.00.